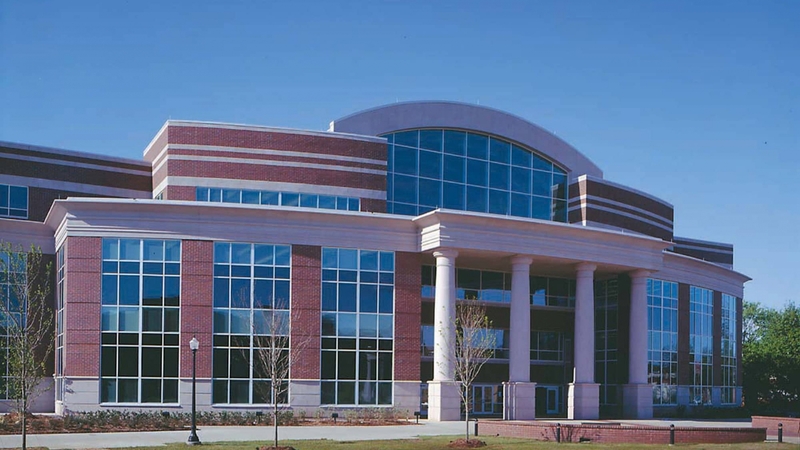 The project was to design the new James E. Walker Library as the focal point of the campus academic quadrangle. It houses state-of-the-art technology and research capabilities, while providing a quiet refuge for students and faculty to study and work. Vertically stacked staff areas to minimize walking distance and time. Cost-efficient construction materials that are resistant to vibration, noise and fire. Interior design capitalizing on natural light and deep-cell parabolic light fixtures in study areas to eliminate glare. Reading and study areas along the building perimeter to take advantage of the windows and campus views. Flexible areas which can easily and quickly be converted from stacks to computer use.